Our cultural center is open between 09:00 and 18:00 during the weekdays. If we have scheduled events out of these times, it is also open in the evenings and at the weekends. How to get here from Taksim Square? (4-5 minute walking distance) Take the Sıraselviler street, pass the German Hospital, enter the Soganci street by turning left from the corner of the Sule Pharmacy. Second block on the right. 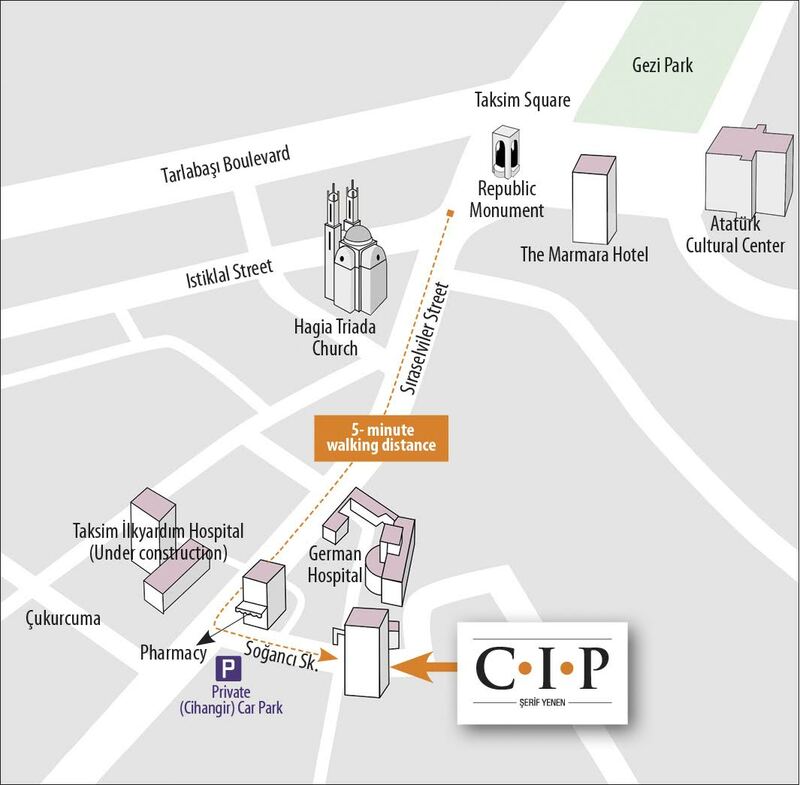 Note: Even if you are not staying in this vicinity, you will likely be in our neighborhood as we are only 5-minute walking distance from Taksim Square or the pedestrian street of Istiklal. The Çukurcuma Antiques neighborhood is nearby too. Participants of our activities can get a 10% discount at the 5th Floor (5. Kat) Restaurant, which is in the same building with us.